Hiring the right home inspector is important. After all, you want the inspection to leave no stone unturned when determining the condition of the house you are considering purchasing. 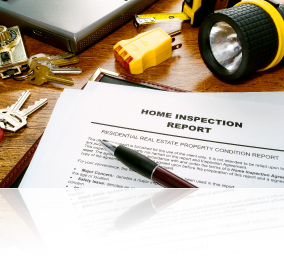 A home inspector should be able to present you with a detailed list of what is covered in the inspection. Don’t settle for a vague verbal promise like, “We check everything top to bottom.” Get it in writing. In addition, you should get an assurance that the inspection complies with all Local, and Provincial or State regulations. As with most professions, experience counts. You want to check how long the inspector has been in the business, and how many homes like yours he has inspected. Also ask about his credentials. What professional training programs has he completed? Does he belong to a recognized home inspection association? If he does, it’s a conflict of interest. You want an inspector to give you an unbiased report as to the condition of the house, without any expectation of getting some contracting work on the side. You’ll want to find out if the inspector takes his time and does a thorough job, or rushes things so he can get as many homes done in a day as possible. On average, a typical single family home should take two to three hours to inspect properly. Ask for references from people in the community you are considering. Then, make sure you call them. “Curb appeal”. You’ve probably heard that term used before. It refers to how valuable and enticing your house looks from the outside, typically from the perspective of a potential buyer “standing on the curb”. Many people focus on preparing the inside of their house for sale, and neglect preparing the outside. This is a mistake. Studies confirm that curb appeal has a huge influence over how quickly your house will sell, and for how much. How do you improve curb appeal? You don’t need to do a major landscaping renovation! In fact, small improvements often make the biggest difference… improvements you can easily do over a weekend. Clean the outside of front windows. Make them sparkle! Remove grass, weeds and other unwanted growth between driveway and walkway stones. Prune shrubs and trim trees. Re-sod bare spots on the lawn. Sweep the walkway and driveway. Rake the leaves. 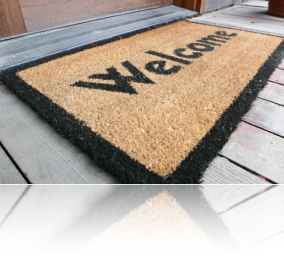 Remove signs such as “Beware of dog” and “No solicitations”. Check the welcome mat. If it’s worn or dirty, replace it. Also, consider buying some attractive potted flowers to put near the entranceway. They are worth the investment. As you can see, it doesn’t take much to boost the curb appeal of your house. Just a little work and a few added details will make a big difference. Need more ideas for increasing the “sales appeal” of your house? Call today. Is there a perfect time to sell your house? The short answer is: Whenever you’re ready. Market “timing” isn’t the only factor that influences how quickly your house will sell or for how much. The preparations you make before listing your house on the market will also have a big impact on your success. Consider these questions: How well is your house staged? Is it in a good state of repair? Is it priced correctly based on local market conditions? Is it listed and promoted so that all REALTORS® and their clients understand the advantages your house and community have to offer? Sure, there are peaks and slower cycles throughout the year. And, there are economic periods when the real estate market is either heating up or cooling down. But you don’t have any control over those factors. Plus, you can never accurately predict exactly where the market is within each cycle. What you can control is how well you prepare your house for sale so that it’s desirable to as many potential buyers as possible. 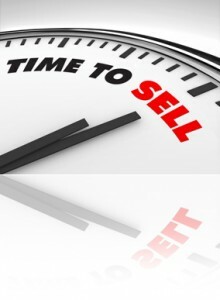 So when is the best time to sell your house? When you want or need to sell it. Want to find out how much your house will sell for in today’s market? Call today. Posted on May 18, 2015 July 31, 2015 Leave a comment on Timing the Market. Should you?